Pete Wentz, who is known for playing bass guitar in the rock group Fall Out Boy, recently spoke to USA Today about his love of comics and how much he enjoys hanging out with his 9-month-old son Bronx Mowgli. Bronx, who made headlines himself when he was born thanks to his unique name, is currently "going through a lot of discovery," according to his 30-year-old dad. However, as Wentz quickly points out, all the discovery can lead to a lot of supervision by a parent. "When I’m at home, I feel like sometimes I have a 9-to-5 job," Wentz told the news provider. "You became your dad. Two dogs, a wife and a kid. Stuck in traffic." Wentz may be home a lot since his wife, Ashlee Simpson-Wentz, is currently filming scenes for the upcoming television show Melrose Place. According to Wentz, this suits him fine since caring for his new born has turned into one of his favorite things to do. 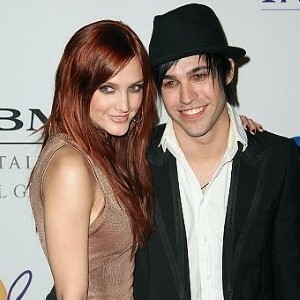 "All I really like to do is hang out with Bronx," Pete said. "He kind of has a new noise or a new thing every day. He’s really funny."